Finally, the highly anticipated full trailer for the Facebook saga is here: The Social Network the movie, directed by David Fincher and written by Aaron Sorkin, is the ultra controversial film coming out this fall--(on the first of October) about the birth of Facebook nation back in the dorm rooms at Harvard in the year 2004. 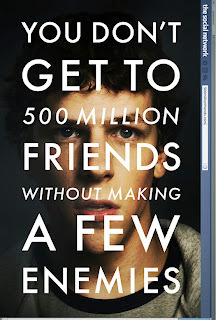 The hyper drama pervading the movie plot is based on the overly-publicized law suit between now Facebook Founder and CEO Mark Zuckerberg (played by Jesse Eisenberg) and his ex-Harvard-classmates: Divya Narendra, and brothers Cameron and Tyler Winklevoss, who later sued Zuckerberg for stealing their ideas for ConnectU. The case was settled privately four years later back in 2008--with an undisclosed agreement between the two parties. Sean Parker co-Founder of Napster and former President of Facebook (played by Justin Timberlake), plays a very big part in the story development as well--as the antagonist whose infectious greed allegedly passed it on the 26 year old multi billionaire. Shortly after being arrested for being busted for cocaine, Parker was fired. Furthermore, the movie speculates that perhaps the greedy DNA was ingrained into the king of FB nation from the very beginning after all. 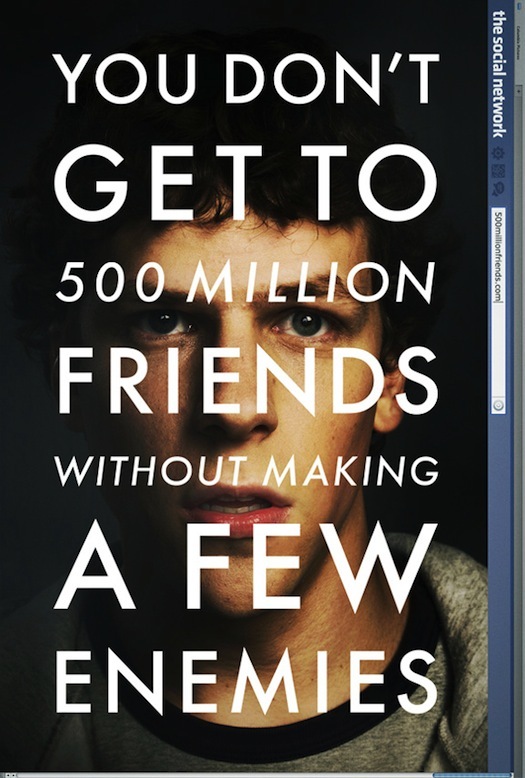 The movie also highlights the premature stages of the social network when a younger Zuckerberg appeared desperate for recognition from his co-Ivy-Leagers. Just this May, some private IM's written by Zuckerberg when he was only 19, surfaced in the press--incited by the controversial allegations of privacy violations against its users that the company desperately needed to deflect. In his latest interview with All Things Digital (ATD), he addressed what he said in the chat: "as something I truly regret and am very embarrassed for saying. They are things teenagers say and don't even think about. I regret a lot of things I said back then" The IM's are in fact shocking. (See below with caution). When asked at ATD whether or not Zuckerberg was flattered that there's a movie coming out based on him and the unforeseen power of Facebook he said, "I'm really not happy about it. I don't want anyone to write or do a movie about me before I die." As of this year, the young tech genious' net worth grew to about 4 billion dollars--acquiring about 500 million users to date and still counting--making FB the most influential social network ever.